This edition has a introduction by PAULO COELHO. Siddhartha is perhaps the most important and compelling moral allegory our troubled century has produced. 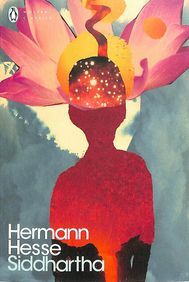 Integrating Eastern and Western spiritual traditions with psychoanalysis and philosophy, this strangely simple tale, written with a deep and moving empathy for humanity, has touched the lives of millions since its original publication in 1922.